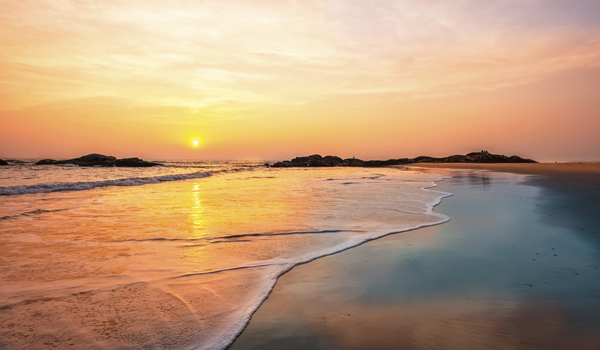 Stretched along the western coastline of southernmost India, Kerala is a beguiling jungle idyll, its sultry, tropical landscape abutting the azure Arabian Sea. For those who want their vacation to India to be as relaxing and meditative as it is rich in culture, consider staying at one of the following beach hotels. 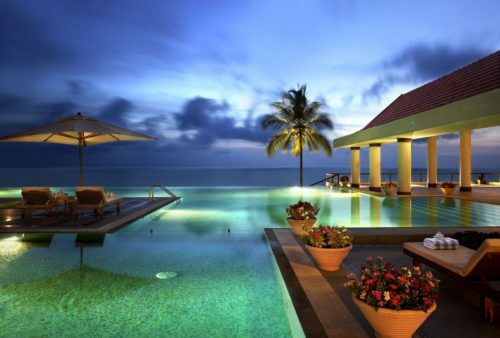 Offering five-star luxury, lovely views, and personal access to private beaches and nature explorations, these six are the best beach hotels in Kerala and provide a direct passport to paradise. 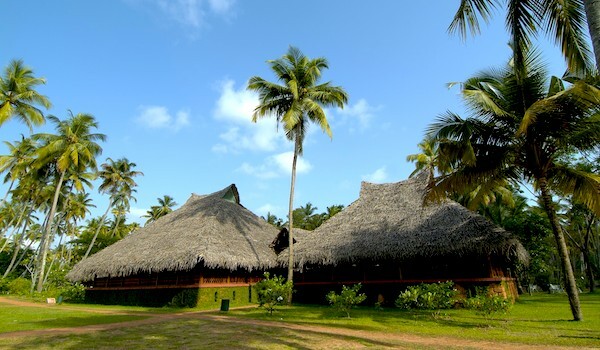 Located in the north of Kerala, Neeleshwar Hermitage offers everything a tranquillity-seeking traveler could desire. 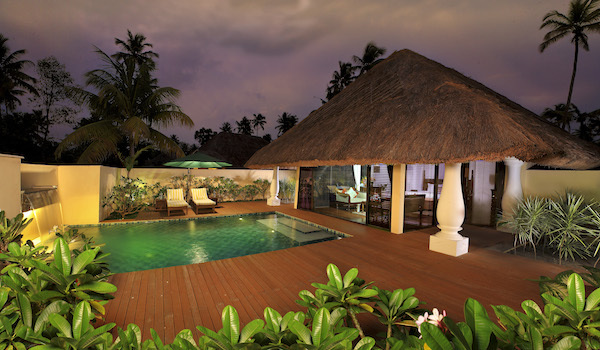 Hidden within its own private grove on the edge of the Arabian Sea, the resort is comprised of a series of detached cottages, constructed of teak and woven roofs and complete with balconies, gardens, and guarantees of privacy. Guests here have the chance to take part in a number of activity tours, from a walk in the Western Ghats to a houseboat tour of the backwaters. Prefer aquatic-themed vacations? 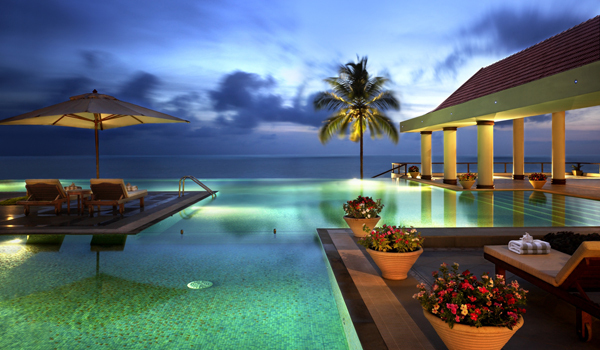 Rest assured that the Vivanta by Taj, Bekal resort offers no shortage of water-based activities. Within luxurious villas whose design is inspired by traditional Kettuvallam house boats, the hotel is also equipped with the luxe Jiva Grande Spa, private plunge pools, and access to the manicured Kappil Beach. Spread across 26 acres, the retreat has mastered the art of relaxation and is one of our favorite beach hotels in Kerala. Operated by CGH Earth, Marari Beach helps frazzled guests achieve longed-for slowness. TVs are banned from the premises, and the resort eschews high-energy activities in order to cultivate a truly relaxed pace of life. Alongside the beach and set amongst coconut groves, Marari Beach still ensures its visitors can indulge in creature comforts, though. Its gourmet restaurants craft rich, flavorful dishes imbued with a heady dose of heat, while the Ayurveda Center is devoted to crafting calm. Beach vacation meets spa retreat: Niraamaya Retreats’ Surya Samudra property, located in Kovalam, is equally adept at fostering relaxation as it is providing the ingredients for a memorable vacation. 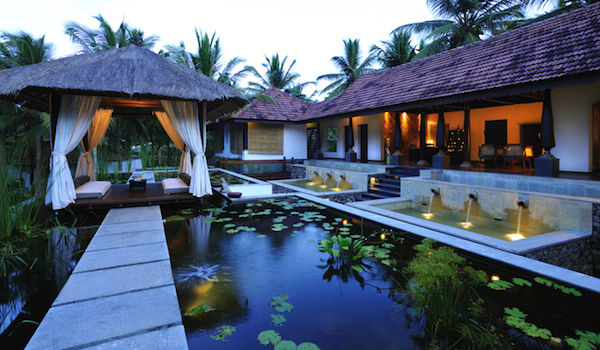 Constructed in a traditional Keralan manner, the 31 are accompanied by open-air showers and sunlit pools. On the healing side, the facility’s spa offerings range from Ayurveda programmes to yoga, Thai and Western massage, and intensive detox treatments. There are surely few better views to be had in any beach hotel in Kerala than the one from The Leela Kovalam‘s cliff-top infinity pools. 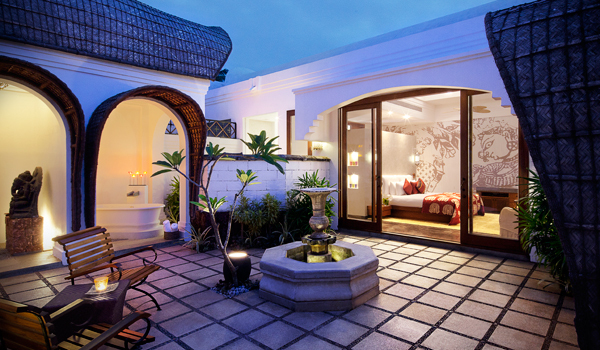 That particular amenity is characteristic of the five-star resort’s opulence. From its exclusive club and the fully equipped Divya Ayurveda spa to small touches like walk-in showers and the peaceful Sundeck Lounge, The Leela provides all the makings of a perfect Keralan vacation.